I mentioned last week that we're moving to a new apartment. Along with the usual packing and sorting and packing, we spent several hours yesterday at IKEA. I spent most of today at the new place, assembling the wardrobe I bought yesterday. Good times. Anyway, there's a lot of packing still to be done, but one thing I would like to not have to pack are a bunch of paperback books in inventory. I bought several copies of each of the books in the Pipe Woman Chronicles last year, intending to run a giveaway on Goodreads...and forgot. The good news is that I now have two -- count 'em, two -- full sets of the three series to give away to you, faithful hearth/myth readers. And the second edition of A Billion Gods and Goddesses: The Mythology of the Pipe Woman Chronicles. 1. Friends and family may definitely enter. 2. Winners of previous contests may win again. 3. There will be a winner. I am not moving these books! 4. As always, the judge's decision is arbitrary, capricious, and final. These moments of contested blogginess have been brought to you, as a public service, by Lynne Cantwell. We may have a book problem. There's lots more where these came from. You may have noticed that hearth/myth took a break last week. 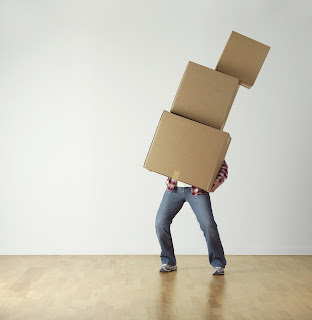 Frankly, I didn't have the energy to write a blog post; we'd spent several days driving around town, looking for a new apartment, and made the final selection last Sunday. Except now we have to move. Which means packing. Which is not my favorite thing to do ever. Back when I was in radio, I moved approximately once every two years -- and not just to a different house or apartment, typically, but to a different city. I traveled a lot lighter in those days. Over the past ten or fifteen years, though, I've only moved a couple of times. And then my mother died and I ended up with a bunch of her old stuff (although not nearly as much of her old stuff as I could have taken -- that woman was a packrat from way back). In any case, packing for this move is likely to be no fun at all. In particular, my daughters and I have gone kind of crazy collecting books. We took nine boxes of books to our favorite used bookstore this afternoon and brought the empty boxes home. Those have now been refilled, and another sixteen have also been filled with books (and some DVDs). And we aren't done. A lot of the books I'm keeping are mythology-related. I collected a whole bunch of material for the Pipe Woman Chronicles and I'm not quite ready to part with it. I mean, if I follow through on my threat to move into a tiny house when I retire, I'm going to have to cull the herd again, and a whole lot of those mythology tomes will have to go. But not yet. One thing I may cull shortly is my inventory of paperback editions of my own books. I stocked up some time ago, intending to do a Goodreads giveaway or several, but never got around to it. Now that we're moving, though... Hmm. Watch this space next week. I'm getting pretty close to being done with the memoir. We take possession of the new apartment a week from tomorrow; it sure would be nice to have this project out the door before then, but I do need to pack. So we'll see. These moments of herd-culling blogginess have been brought to you, as a public service, by Lynne Cantwell. Update: It turned out the USB Pet Rock I talked about last week was, in fact, an April Fool's joke. It's just as well. I'm not sure I need more tchotchkes. I suspect if you mention Studio Ghibli to most Americans, you'll get a blank look in return. But the movie studio is famous in Japan, as well as among American fans of Japanese anime (pronounced AN-ih-may). Founded in 1985 by directors Hayao Miyazaki and Isao Takahata, it has released 21 animated feature films. The studio went on hiatus a few years back when Miyazaki retired, but he has since come out of retirement to direct a new film called How Do Your Live? It's due for release in 2020. However, this past week, Takahata died at the age of 82. My daughters Kat and Amy have been fans of Studio Ghibli's work since they watched My Neighbor Totoro at a friend's house when they were kids. Recently, they've been purchasing Blu-Rays of their favorites, and since I'd only seen a couple of the studio's films, I've been watching them along with the girls. Although Disney has the rights to release these movies on disc in the United States, these are not Disney-type films -- and not just because of their distinctive animation style. Some are kiddie movies -- My Neighbor Totoro and Ponyo come immediately to mind -- but in many cases, the story lines are richer and more complex than your average Disney flick. And while the protagonists are often youngsters, the movies can certainly be enjoyed by adults. 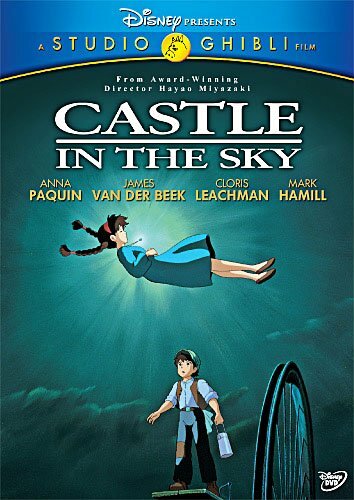 Tonight, for instance, we watched Castle in the Sky, Studio Ghibli's first movie, directed by Miyazaki and produced by Takahata. 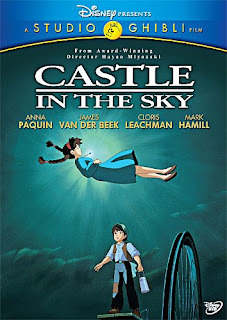 A young girl falls falls from the sky into the arms of an engineer's apprentice. The girl, Sheeta, wears a magical crystal that protects her. That crystal is the McGuffin that everyone is after -- the military, a family of pirates, and a shady fellow who may or may not be working with the government -- because it's a link to a legendary floating castle called Laputa. Lots of hair-raising action ensues, much of it high in the sky. Think of it as a cross between Indiana Jones and steampunk. Studio Ghibli's movies are decidedly Japanese. The Wind Rises is about an aviation engineer who designed the Zero fighter plane that Japan used in World War II. Of course, he was a hero in Japan -- not so much in the US. A lighter example is the No-Face in Spirited Away, a stock character from kabuki theater whose cultural relevance I'm still trying to figure out. We have a few more Studio Ghibli Blu-Rays to see, including their version of Ursula LeGuin's Tales from Earthsea. I'm looking forward to seeing them. One more update: My memoir project is moving ahead. Mom's House went out to my editors and beta readers this weekend. Stay tuned for more updates. These moments of animated blogginess have been brought to you, as a public service, by Lynne Cantwell. Guys! I am so excited to tell you about this thing I discovered earlier today. Here at hearth/myth, we remember the '70s like they were yesterday: the hairstyles, the bell-bottom hip-hugger jeans, the music, the fads. Like the Pet Rock. It was genius! It came in its own cardboard carrier on a bed of straw, together with a 32-page manual of care and training instructions. And it did absolutely nothing. That's right! People in the '70s actually paid four bucks for a rock. Makes those of us buying designer bottled water sound almost brilliant, when you think about it. I mean, it was a perfect pet. It didn't eat or drink. It never ran up outrageous vet bills. It was never disobedient. And it never pretended to be anything other than what it was. Authenticity was a big deal in the '70s, let me tell you. Anyway, pet rocks weren't around for very long. Some parents -- including mine -- refused to buy them for their kids, saying any old rock would do. So I never had a pet rock. 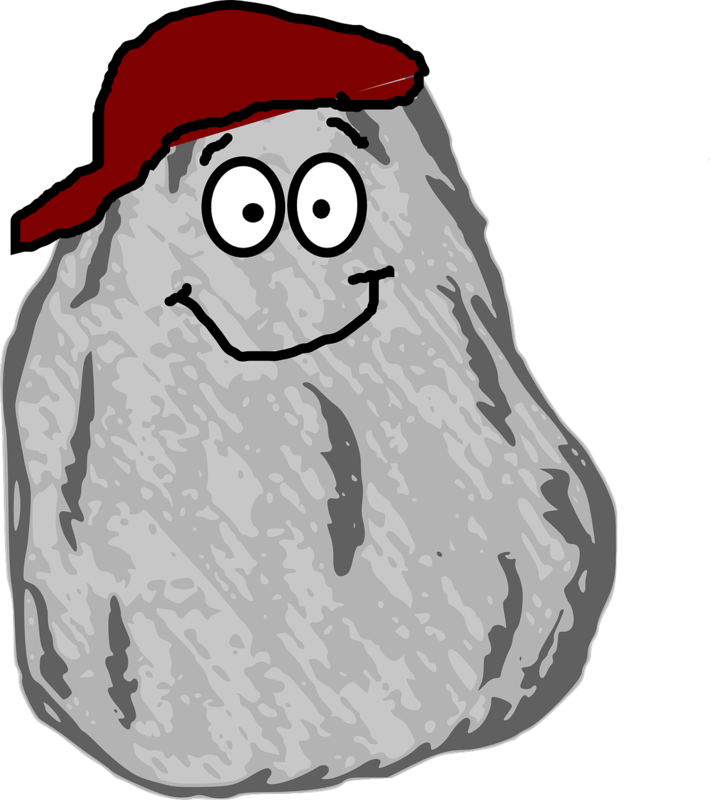 But today I discovered that pet rocks are back! And they've been updated! ThinkGeek -- which, if you've never seen this retailer's website, you owe it to yourself as a geek to check it out -- is now selling Bluetooth Pet Rocks. They come with their own charger and they pair with your phone or tablet. ThinkGeek says they last eight hours (standard use) on a single charge. And they're ethically sourced! You can't beat that with a stick! I mean, I guess you could. But I'd advise against it. You might put somebody's eye out. Or break a window. Now I know what you're thinking: "Oh haha, Lynne. I've seen the calendar. I know what day it is. You're a little late with your April Fool's joke." And I say to you, unbeliever: click that link above. And then get ready to pony up $19.99. I haven't bought mine yet, but I fully intend to -- as soon as I'm sure the item is still for sale after April Fool's Day is over. This moment of Pet Rock blogginess -- connected via Bluetooth, naturally -- has been brought to you, as a public service, by Lynne Cantwell.